Anyone who reads the headline will probably rub their eyes in disbelief. For me, this effect has not diminished even after another coffee, but it's true. LG has released after seemingly endless wait, the source code for Ice Cream Sandwich update for the LG Optimus Speed ​​- the AKtualisiserung seems on the verge of surrender. Let's be honest, who really had not expected that the LG Optimus will actually receive the update to Android 4.0? Even though I had not yet given up hope completely, my skepticism is still grown louder. The constant round and forth that was last played by LG, made ​​a significant contribution. All the more surprising, therefore, is the message that the kernel source code for the Android 4.0 update for the LG Optimus Speed ​​P990 has now been released by LG. Strictly speaking, the source code for the Korean variant SU660 was released, several XDA-Developers report, however, that this also includes the necessary information for the variants P990 (Optimus 2X, Optimus Speed ​​in Germany) and P999 (G2X). 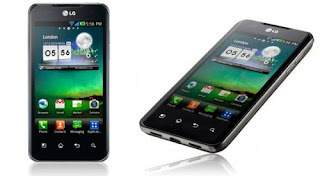 For one, this of course means that the official update is actually about to be published, on the other developers of custom ROMs can finally really useful Ice Cream Sandwich firmware release for the first dual core smartphone. Hitherto failed-AOSP custom ROMs, such as CyanogenMod , the fact that the developers of the necessary source code for the kernel and the Nvidia Tegra 2 platform was missing. Although there were ports that were anything but optimal. According to the saying "better late than never" LG has now at last the long-awaited step of Gingerbread to Ice Cream Sandwich made ​​for the first dual-core smartphone in the world possible. About the wait for the update and still suboptimal situation in many other LG devices let us not leave out at this point and we would rather devote the anticipation for the custom ROMs and an official update for the P990.